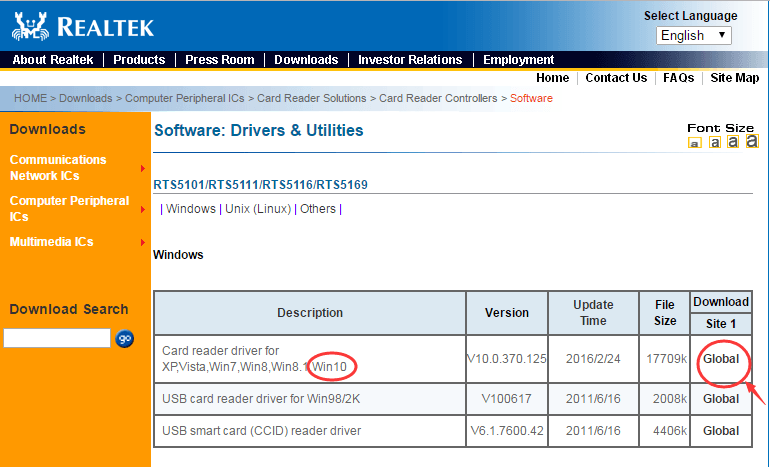 Find card reader not detected or not working in Windows 10? 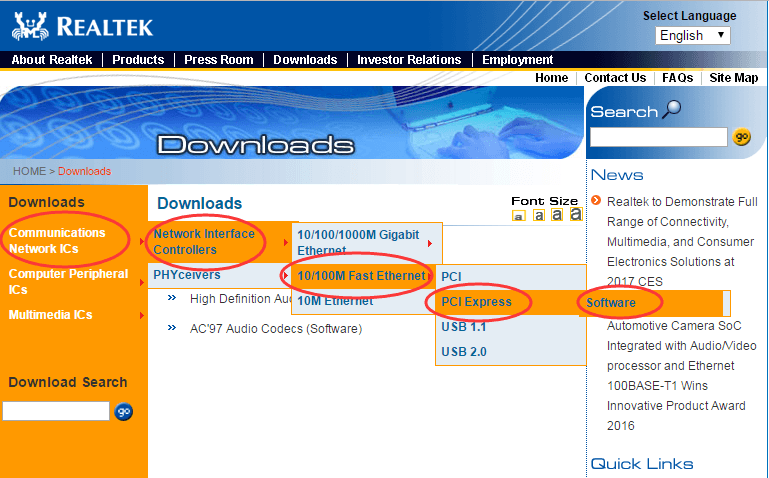 You just need to install proper Realtek Card Reader Driver to fix it. Read on to follow the ways below, you would know how to download Realtek Card Reader Driver for Windows 10 quickly. 3) On the software page, locate Windows 10, then click Global to download. Driver Easy is a nice tool to help you solve driver problems. Furthermore, all the drivers offered by Driver Easy is trustworthy. There are two versions of Driver Easy. Free version can detect drivers problems and download latest ones, what you need to do is install the driver by yourself. With Pro version, it just needs mouse-clicking 2 times, which can save much more time. First click: click Scan Now. It will fast detect all drivers problems of your computer. Second click: click Update All. 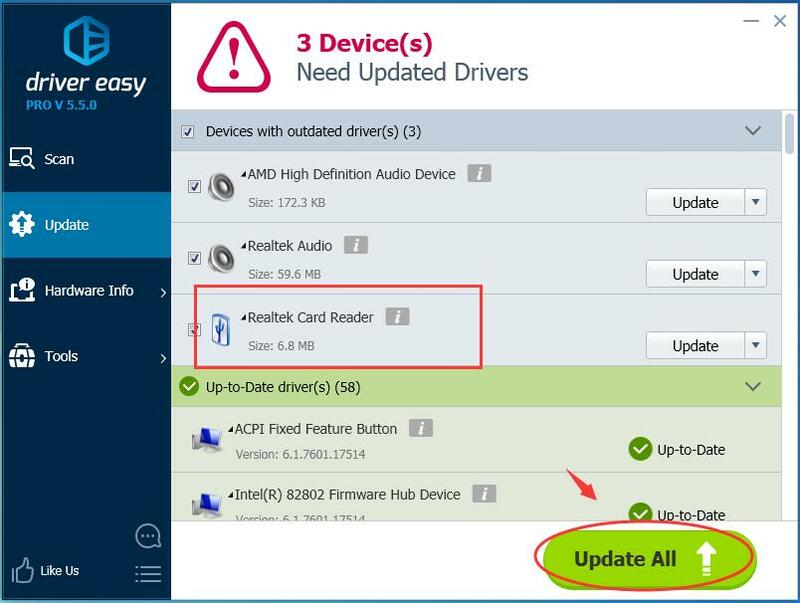 It will download and install ALL new drivers including your Realtek Card Reader Driver automatically. Such a useful tool it is! 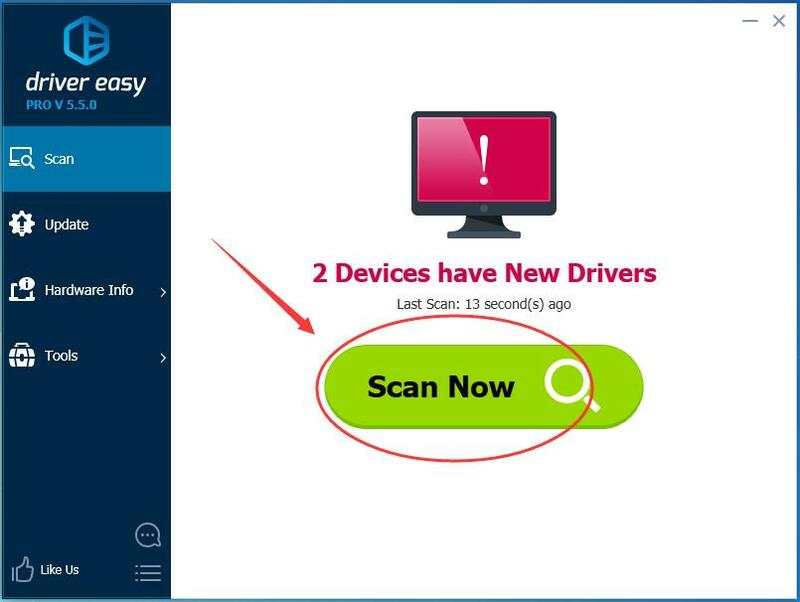 Try Driver Easy Pro Version for your Win10 now! And if you are not such satisfied with it, you can always ask for a refund thirty days within the purchase for any reason. Come on and have a try now!